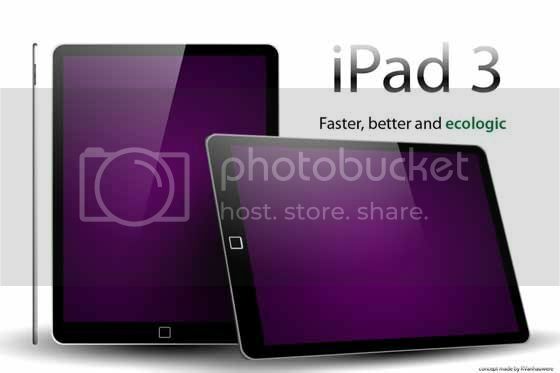 iPad 3 October Release Date Imminent? - Better Screen And Cameras Please! Everybody's asking when the next generation of Apple's industry changing iPad will come out and now news around the interwebs are saying that the iPad 3 may make it's official debut around September with a release date around October 2011 along side the iPhone 5. Now this should be taken with a your usual diet of sodium chloride (salt for you non-chemists out there), it's not that we don't want to see the iPad 3 this year it's just that with all the shortage of iPad 2's happening right now I don't think we're that far off from seeing the iPad 3 announced with the iPhone 5. Then again that'd be something that would murder your wallet and Apple really wouldn't want you to pick one over the other just because your measly budget can't handle it. Improvements that're pretty obvious for the next iPad would be a better screen which should be something along the pixel density of Retina Displays as well as a better camera for the front and back of course. If you haven't figured it out yet the image you see above is just a concept I grabbed from another website. I just hope that when they announce the iPad 3 they'll be gentle with our wallets. Does anybody else notice how much the next iPod Touch is being ignored?